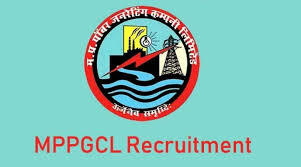 New job openings have opened up in the Madhya Pradesh Power Generating Company Limited, 55 posts have opened up for the post of Junior Engineer. All the candidates that are interested to apply for the posting should have a diploma in Mechanical Engineering, Electrical Engineering, Electronics, Electronics & Telecommunication, or Electrical & Electronics from a known institute or University. 9 vacancies were also announced for the post of Account Officer, where a Chartered Accountant (CA) from ICAI or Cost and Management Accounting (CMA)/ ICWA from ICAI can apply for the post. If you are a candidate that has an MBA in Finance, you can also apply for the job. The training duration for the Account Officers is going to be 3 months long and 1 year long for the Junior Engineers.